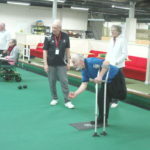 We welcome anyone who wishes to try the game of bowls. 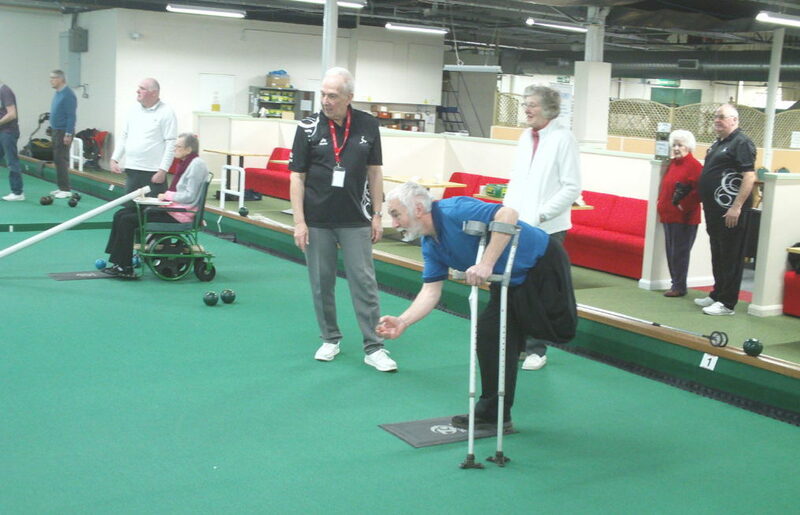 The whole of our Club is easily accessible for walking and for wheelchairs. For all bowlers, we have qualified coaches who will help you to get started. With the help of the Big Lottery Fund, we have been able to provide a variety of equipment. This includes wheelchairs, different size walking sticks to aid balance and if bending is a problem we have the equipment to pick up bowls. 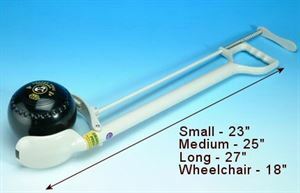 We have bowling arms (see picture) which allow the bowls to be picked up, held and sent down the rink. We have a selection of different size and coloured bowls. We have kitchen and toilet facilities including a toilet for disabled bowlers. The number 5 bus stops a short distance from the Club at Scarborough Road, the stops can be seen on the location map on the contacts page. Barbara Moody (Secretary) 01793 722410 or contact via the contact form.